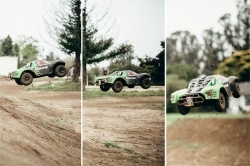 Rob Krider likes to race cars, talk about his wife, and write, apparently. He’s been penning this column for the Sun for a decade. I’ve been writing the Man Overboard column at the Santa Maria Sun for 10 years now, which, for a guy who doesn’t finish many projects around the house, seems absolutely insane to me. I’ve covered everything from dirty words to dirty diapers, with a few stories about my wife, whom I love, in between. The one thing I have never written about is the actual act of writing the column. My theory was that even though other writers find the subject of writing interesting, the readers of the Santa Maria Sun would find articles about everyday things more relatable and hopefully entertaining. For that reason, I shied away from writing about writing. Plus—and you have to trust me on this—there is nothing interesting about me sitting in my underwear behind a computer at 3 in the morning trying to punch out a humor column before a deadline. Unfortunately, at that late hour, the holes in the story match the holes in my underwear. But just this once, if you’ll indulge a guy celebrating a personal milestone, I’d like to tell the story of how the Man Overboard column almost never came to be. In 2000, I picked up one of the first issues of the Santa Maria Sun. It was a cool new paper with reviews of local bands and some articles about regional government shenanigans—similar to what it still is today. But the paper didn’t have a local columnist. I decided I would be the paper’s local columnist. At the time, I was a newlywed, new father, and new homeowner living in Orcutt, and I had a few stories to tell (about my wife, whom I love) that I thought were entertaining. I could make my friends and family laugh around the dinner table; why couldn’t I make some people laugh in a coffee shop reading the Santa Maria Sun? I figured I had all of the qualifications needed to be a local columnist since I: 1. was local and 2. had majored in journalism at Cal Poly. Truth be told, I had been kicked out of the university due to my cumulative GPA being a bit shy of the 2.0 minimum requirement (it was actually very shy: 0.67 to be exact). But prior to being kicked out, I was a journalism major. Well, I never actually got around to taking any of the journalism classes, but it was listed as my major on the form letter the college sent me when they threw me out of school. The last sentence of the letter (which I still have) is absolutely classic: “We wish you the best of luck … elsewhere.” My career as a writer wasn’t looking too good. The first editor at the Santa Maria Sun was Marla Pugh. I will never forget her, because the first time we met, she tossed me out of her office. I came in, dressed in a tie, nervously holding a portfolio of self-proclaimed funny stories. I explained to her why I was there, and she told me she didn’t have time for me. I asked, “You don’t have five seconds?” She barked back: “No, I don’t have five seconds!” I left a copy of my portfolio on her desk anyway and walked out blushing. I felt like an idiot. I went home, took off the stupid tie, and sulked for about a week. Didn’t this Marla Pugh understand I was going to be her local columnist? What was her problem? That weekend, big changes occurred in Orcutt. The then-new Albertsons opened on Clark Avenue. This was huge for our little town. The store planned a big grand opening, advertising that free cookies would be handed out. I think most of Orcutt showed up. The grand opening was a complete zoo, with so many people crammed into the new store nobody could even move their carts. I found the whole thing quite comical. I got my free cookies, went home, and wrote a column about it. I faxed the story to the number listed on the information page of the Santa Maria Sun. Luckily for me, before Marla Pugh could toss the story into the shredder, a few staffers at the Sun read my fax, and for whatever reason, thought it was funny. Marla called me and simply said, “Your column will start next week. It will be bi-weekly. Give me 900 words. Swing in so we can take your picture and come up with a name for your column.” That was the extent of the phone call. I was ecstatic! I immediately sent her my pick for the new column title: “Surviving Suburbia!” She hated it. Then I heard the Blink 182 song “Man Overboard.” I thought the title was catchy; I’m a man; some of the stuff I write about is a bit overboard—it seemed like a winner. I stole the name, sent it to Marla, and she gave it her very important stamp of approval. It’s been the title ever since. On Sept. 8, 2000, my Albertsons grand opening story ran, and I’ve been writing for the Sun every other week for a decade. When I started, my kids were in strollers. Now I have a 13-year-old son who requires that all of my stories be proofed by him to make sure no embarrassing family secrets that might stunt his junior high coolness status are revealed to the public. Marla moved on from the Sun, and Ryan Miller (the intern, really?) became my new boss. Writers and staffers of the Sun came and went, but I still kept cranking out a column every other week in an attempt to make somebody in a coffee shop laugh. Apparently it has been working, since I haven’t been fired (yet), and over the years, a few notable things occurred. The first involved a guy named Ty Fredriks. According to Ty, he and his wife read my column ever other week without fail. Ty contacted me and asked me if I could give him a little cameo action inside one of my columns and find a way to mention his wife. He wanted to surprise her and let her read her name in the paper as an anniversary gift. I was absolutely honored to do it, and Ty reported back that he was “the man” for pulling that off for the ol’ lady. And speaking of old ladies, another devout reader of the Man Overboard column has designated herself my personal watchdog. Mrs. Chris Risk will immediately send me a letter if I make the mistake of forgetting to use the phrase that pays—“my wife, whom I love”—somewhere in every single story. On another high note, I wrote a pretty exposing story about my vasectomy, which has gone down in history as the edgiest (and in my opinion funniest) story ever printed in the paper. Ryan Miller told me he gets re-print requests on the vasectomy story occasionally (let’s do it, man!). 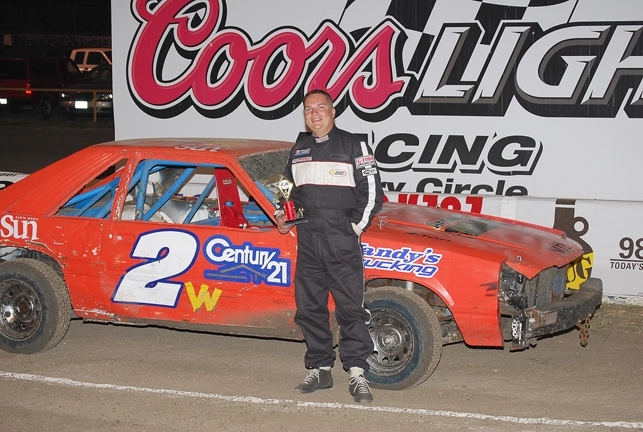 The coolest thing for me that has come from being a part of the Sun was when the Santa Maria Speedway had a media night and invited me to race one of their cars on the dirt circle track, which was great, especially since I got the opportunity to beat some radio jocks (print rules!). I feel very lucky to have been allowed this opportunity to do this column, and it means a great deal to me. Ten years equals 260 Man Overboard columns. That’s a lot of nose hair stories and diet jokes—literally a book’s worth of manly stupidity. Thanks for being a part of it. Thank you very much for reading.